Live Oxygen is extremely simple. Done in the comfort of your own home or office, Live Oxygen can be used to prevent or address health problems caused by poor oxygen delivery. Increased levels of oxygen provides stunning results in terms of cell health. What is true for hyperbaric treatment (HBOT) is exponentially true for Live Oxygen Therapy. It is also a lot less expensive and much more convenient than HBOT. Live Oxygen is healing without drugs or chemicals and without surgery or invasive techniques. Hyper-oxygenation gets oxygen into the body’s cells which have already turned to fermentation for their energy needs. Live Oxygen starts a healing and restorative process where normally there would be none, because there is no cellular energy for it. Oxygen therapy is fantastic because more oxygen translates into more cellular energy, more healing energy and more overall energy to help us feel good and perform better in life. LIVEO2 SYSTEM IN USE. BIKE NOT INCLUDED. Live Oxygen employs a simple improvement over both hyperbaric chambers and Oxygen Multi-Step Therapy that ensures the maximum amount of oxygen gets to where it is needed the most: to damaged and inflamed tissues. Oxygen provides a completely natural way to heal and to be your physical and mental best. Increasing your oxygen levels can and will make huge differences in your state of well-being. It also has dramatic anti-aging and weight-loss effects. Live Oxygen is about inflammation and the best, most straight-forward way of addressing it. Live Oxygen restores the blood micro-circulation and consequently we see a permanent elevation of oxygen influx and uptake. A person needs an oxygen concentrator, an exercise bicycle, treadmill or jumper, an oxygen mask and a reservoir that stores up enough oxygen for a fifteen-minute session. It offers a trip to cellular heaven. No matter who you are, if you can get on a bicycle, you can enjoy something powerful enough to be considered a fountain of youth for the cells. Live Oxygen specifically targets capillary inflammation with bursts of plasma-dissolved oxygen. Resolved inflammation restores the blood supply to tissue and allows the tissue to return to normal aerobic metabolism. Stress causes inflammation that creates persistent cellular energy “brownouts” throughout the body. These areas are prime targets for degeneration and disease. Oxygen, at the levels delivered by the Live Oxygen system, enters into your blood capillaries, lymph and fat tissues easily. Athletes using the Adaptive Contrast version of our LiveO2 system utilizing high-altitude training put rocket fuel into their performance. The bottom line is that oxygen is vital to every physiological function of the human body. The Live Oxygen system gives you all the raw healing, detoxifying, and alkalinizing power of oxygen you can possibly need. Nothing comes close. The stunning effects of our oxygen therapy quickly becomes clear. Typically, the original Oxygen Multi-Step Therapy used to consist of an 18-day, 36-hour program. Now with the LiveO2 system, that amount of time is reduced to only 15 minutes a day with the 36-hour end effect being realized after the first 15-minute session. 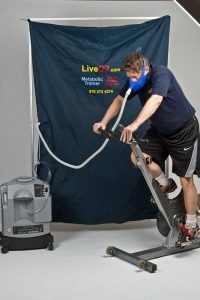 Some people have been going to oxygen bars and hyperbaric chambers have become popular and well respected, but these therapies do not reach the levels we are talking about with the Live Oxygen training system. MODERATE EXERCISE IS A GREAT PLACE TO START. A graded exercise program perhaps beginning with nothing more than lifting a few pounds can be easily devised along with oxygen to begin the transformation process. Acquiring an exercise machine (a treadmill or exercise bike will work just fine) takes a little effort and money, but you probably should have one of these anyway. The bottom line is that oxygen is vital to every physiological function of the human body. Whether you’re a Navy Seal, an Olympic Athlete or simply an unwell person, you will benefit greatly from flooding your cells with oxygen. Nothing will distance a person further from death than oxygen because it is the giver and sustainer of life.